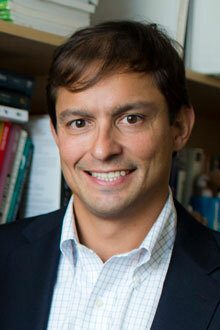 Dorian A. Lamis, PhD, assistant professor of psychiatry and behavioral sciences in Emory University School of Medicine, has been awarded a Young Investigator Grant for his research with African American populations experiencing bipolar disorder. Awarded annually by the Brain and Behavior Research Foundation, the Young Investigator Grants are given to 200 of the world’s most promising young scientists to support their innovative, groundbreaking research in psychiatric disorders and mental illnesses. “One in five people in the United States is living with a mental illness,” says Jeffrey Borenstein, MD, president and CEO of the Brain & Behavior Research Foundation. The Young Investigator Grant will directly support Lamis’ study on child abuse, gene modifications and suicidal behaviors among low-income African Americans with bipolar disorder. He will collect data on 125 men and women in search of these associations. Herbert Pardes, MD, president of the Foundation’s Scientific Council, explains why these grants are so important for researchers beginning their careers. “In many cases, foundation grants offer the first critical support for a young scientist’s work that may not otherwise receive funding,” Dr. Pardes says. Lamis serves on the Board of Directors for the Georgia Chapter of the American Foundation for Suicide Prevention and has more than 120 published, peer-reviewed articles on psychiatric disorders and mental illnesses. He also provides direct clinical services in the Grady behavioral outpatient clinic, and supervises psychology practicum students, postdoctoral fellows, medical students and residents at Emory.